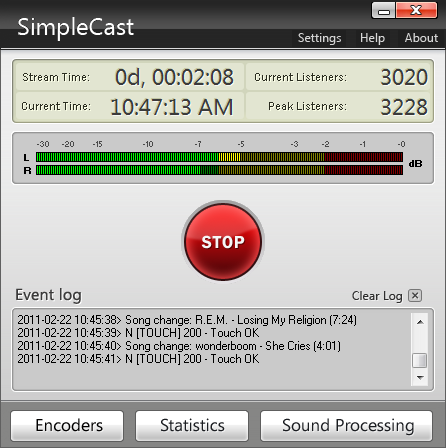 Here you'll learn how to use Simplecast with Primcast Internet Radio services. 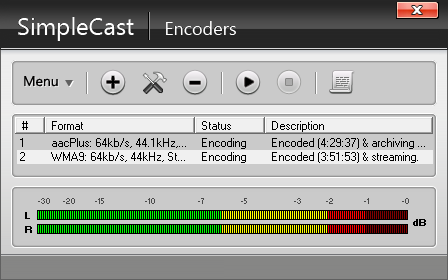 Select your encoder from the top section of the main SimpleCast window.You can add your encoders from here. 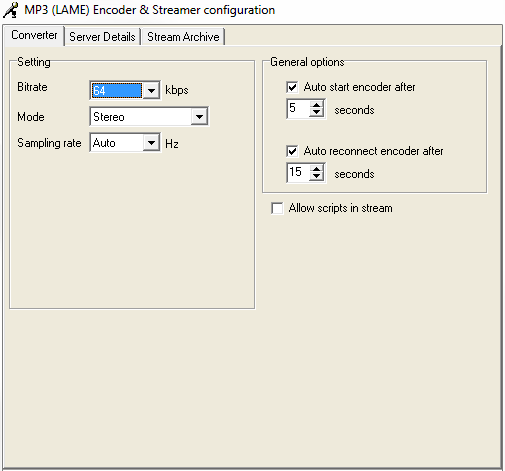 Add an encoder to your SimpleCast by clicking the "+" sign and select "MP3 (LAME_ENC)." 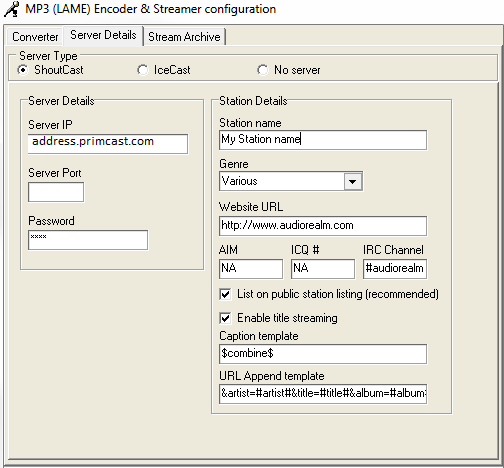 In "Server Details" area, enter your Primcast streaming server's IP address and password. These details are available when you login to your Primcast account. Your streaming server address and password were also included in your setup e-mail. 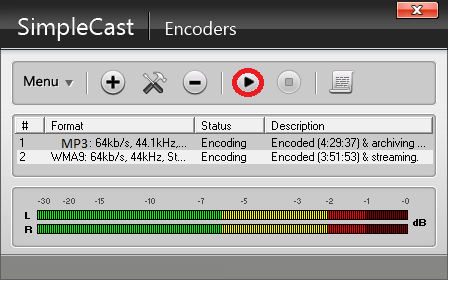 After you have finished configuring your encoder just click the play button from the encoders tab to start streaming.